The City of Baldwin is about 3 square miles in area and holds the nickname of “The Biggest Little Town in Wisconsin”. It is 30 miles east of Minneapolis and St. Paul. In this safe neighborhood, crime levels remain one of the lowest in the nation, which is reassuring for all the households in Baldwin. The population consists of mainly Catholic residents, but a myriad of churches are present throughout the city, so people can choose where to attend. Manufacturing is the most popular industry in the area, but the city supports a wide range of businesses as well—explaining the great economy of Baldwin. When visitors come to town, they can land at the Minneapolis-St. Paul Airport (MSP) in downtown Minneapolis then drive to Baldwin. Hotels in the area offer 4-star accommodation for under $100 a night and are often located to Baldwin’s gardens or state parks. The Oak Marsh Golf course even has banquet rooms and event planners for weddings! 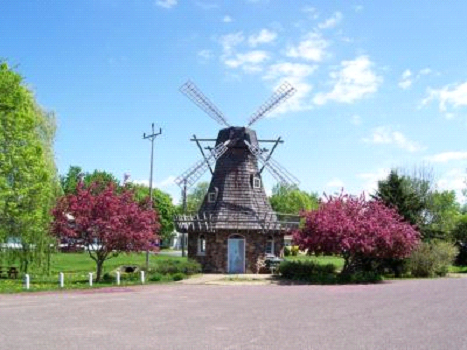 Folks are also encouraged to visit the Baldwin Windmill during their stay. It was built by volunteers in 1987 and considered the “ornament of the village” for a long time.